Win a copy of Sam Scarborough's book! 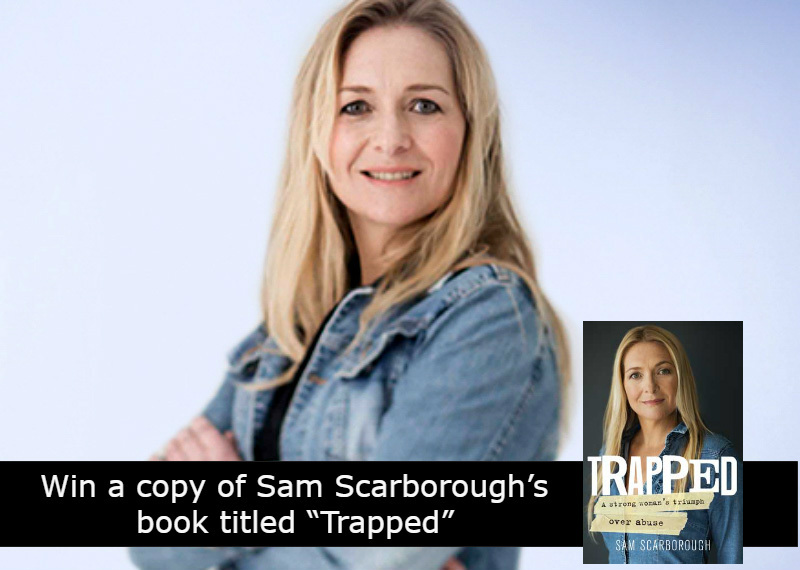 Stand a chance to win Sam Scarborough's book titled Trapped. One lucky Afternoon Express viewer stands a chance to win a copy of Sam Scarborough's latest book. The Afternoon Express Ticket competition ("the Competition") will be run by Cardova Trading Proprietary Limited (registration number: 2010/007686/07) (“the organisers”) and the prize is provided by Sam Scarborough, the Author of the Book titled “Trapped” ("The Promoter"). • The competition will open on 19 September 2016 at 17h00 and close on 19 September 2016 at 18h00 ("the Competition period"). • The prize is: The 1 winner will receive a copy of the book Titled “TRAPPED” by author Sam Scarborough.• The prize is not transferable, and cannot be deferred or exchanged for cash or any other item.